Phillip Elden is co-founder and the current conservation director of Native Oregon. Conservationist Phillip Elden explains that Oregon is home to thousands of species of land and aquatic animals. Here, Elden opens up about Oregon’s geologic history, which has shaped and remolded the layout of the land and its diverse biohabitats since the dawn of time. Q: The Columbia River Gorge is habitat for many species. How was it formed? Phillip Elden: The Columbia River Gorge came to be between 700,000 and 2 million years ago, in the last Ice Age during the Pleistocene era. It was formed when the Columbia River begin to notch its way through the Cascade Range. It’s important to note that the Columbia River experienced extreme flooding during this time. Q: How did ancient flooding contribute Oregon’s current agricultural environment? Phillip Elden: Thousands of years ago, flooding of what is now known as the Columbia River Plateau disturbed rich lake sediment that was then deposited throughout what would become the state of Oregon. This sediment enhanced the fertility of the land and has made much of the state’s flatlands exceptional for agricultural growth and production as well as for wildlife and naturally occurring flora. Q: What is the Bridge of the Gods? Phillip Elden: While today’s Bridge of the Gods is a man-made structure on the Columbia River between Washington and Oregon, it has its history in a real natural catastrophe, the Bonneville Slide. This landslide is deeply ingrained in Native American culture, specifically the Klickitat tribe, who believe the Bonneville Slide was the end result of a war between their gods. Q: Who were the first pioneers in Oregon? Phillip Elden: While the entire coast has long been inhabited by Native Americans, the Astor Expedition, which lasted between 1810 and 1812, introduced the 1st white settlers, many of whom were fur traders and attracted to the area because of its abundant mammal populations. Phillip Elden is presently the conservation director for Native Oregon, a conservation group committed to enhancing and protecting Oregon’s native plants and animal species, desperate to survive in the ever-changing environment. A longtime member of a West Coast mountain climbing club, he has climbed several mountains and volcanoes, including Mt. Hood and Mt. Jefferson. Phillip Elden is also an active member of his community, offering time and talents to numerous nonprofit organizations. 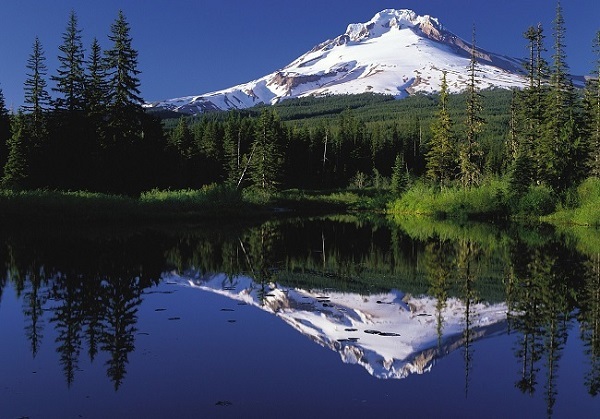 EUGENE, Oregon – October 25, 2013 – According to Phillip Elden, the government shutdown has caused much distress in national parks and public spaces, as many families saw their October vacations ruined by park closings, says Phillip Elden. © COPYRIGHT 2016. Phillip Elden. ALL RIGHTS RESERVED. Powered by Blogger.